What is Ace Poker Drills? Ace Poker Drills is a poker training software that gives you a "flash card" style training for Odds and Outs, Equity, and Pre- Flop play. The Pre-Flop trainer will help you to easily recognize which hands to play in different positions. Odds and Outs trainer will get you to quickly calculate your odds and outs in various situations. Equity Trainer will quiz you on equity calculations for different hands, so that knowing your equity in a given scenario will be second nature. Who would benefit from Ace Poker Drills? 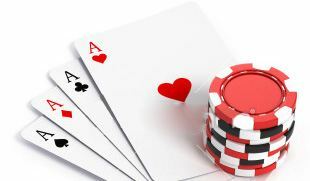 Ace Poker Drills would be of most benefit to micro, small, and mid-stakes NL/PL and Limit Holdem players. It was designed by successful poker players, for poker players. It will help any player to better remember which starting hands to play with, and will help to strengthen their ability to calculate equity, odds, and outs. There are 3 different pieces of poker software in the Ace Poker Drills, the Odds and Outs Trainer, the Pre-Flop Trainer, and the Equity Trainer. The Odds and Outs trainer is absolutely FREE. The Pre-Flop trainer is $29.99 and the Equity Trainer is $29.99. You can get a combo pack of all 3 for only $49.99. 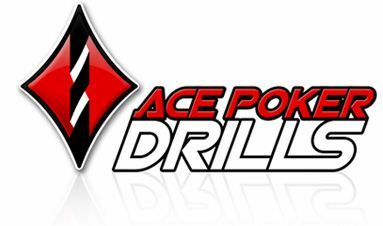 How is the Ace Poker Drills delivered? You can download Ace Poker Drills from our website. When you decide to purchase it, a serial number will be automatically e-mailed to you upon completion of the sale, and you can then use that serial number to register Ace Poker Drills and use all of the features indefinitely. Can I try Ace Poker Drills for free? You can download a free fully functional trial of Ace Poker Drills that will work for 24 hours. After that, you will be asked to purchase a license in order to continue using it. How many computers can I use Ace Poker Drills on? A single Ace Poker Drills poker training software tracker license gives you the right to install Ace Poker Drills on two computers. We encourage you to make use of the free trial period of Ace Poker Drills. If you've registered your license after the free trial period, there is no refund for any reason. Who designed Ace Poker Drills? Ace Poker Drills was designed by John Anhalt who has been playing poker professionally for over six years. John Anhalt is the creator of Leak Buster, the founder of www.pokerzion.com, the author of www.pokerbythebook.com and www.sitandgobooster.com. What are others saying about Ace Poker Drills?